Pack 996 is chartered by the Dougherty Valley San Ramon Rotary Club. The chartered organization is granted a charter by the Boy Scouts of America to use the Scouting program. Rotary clubs are filled with business and civic leaders who call each other by their first names because friendship and service are more important than ego. Think of it as the oldest, most trusted, social network today. In addition to having a lot of fun, we do a lot of good work right here in San Ramon, across Contra Costa County, and around the world. For example, our “Rotocare Clinic” helps people right here in Contra Costa County. The “Sentinels of Freedom” help wounded veterans, and Rotary’s Polio Plus project has immunized over two billion children around the world. 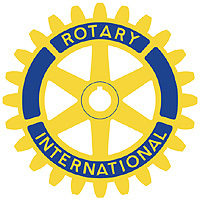 Find out more about Dougherty Valley / San Ramon Rotary by being their guest at one of their after work 5:10 pm meetings on Wednesdays or contacting the Membership Chair. Here is a list of 20 reasons why anyone should join the Rotary.